Hero of the Kingdom III is rated 4.7 out of 5 by 52. Rated 5 out of 5 by nancyt2u from Another Hit What can I say? This is another fun game in the Hero series. I have played them all and replayed them many times again. This latest issue is different from the preceding issues in the map and how it is used. You can visit various vendors without leaving where you are. 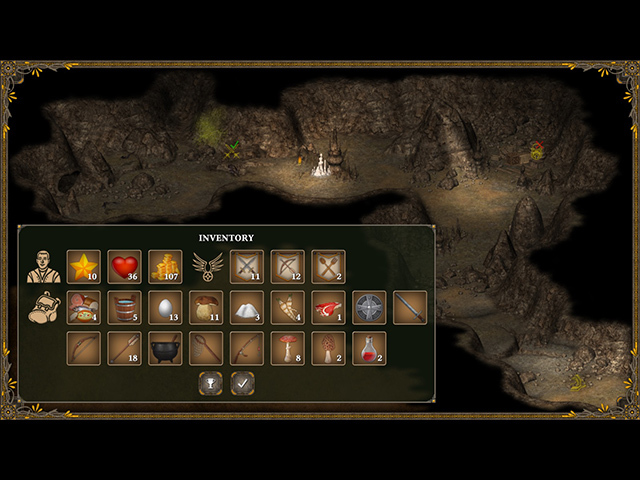 Some of the tasks are very different from the earlier games and you can fashion potions, food and weapons as your skills improve and your collections accumulate. The one thing I miss from the earlier games is a place to look to help you focus on the task at hand. That certainly isn't a deal breaker. You don't need to play this series any particular order since the main characters in each are not at all related. If you like any one of them, you will enjoy them all. Thank you Lonely Planet for such great work. Rated 5 out of 5 by xmassnowmen from Great Game. Tips here as if a forum. I loved Hero of the Kingdom 1 and 2. This one is even more addictive. Nice changes with a Rest cave to get hearts and make food, potions, and weapons. And easy map to find where to buy and sell items instead of going all over the place. 1. YOU NEVER HAVE TO WORRY ABOUT MONEY if you keep hearts. Use the money to buy food from INN and get hearts in the cave. Then go hunting, gathering, and collecting pearls. Sell everything at first except 5 horns. Save gems too. You do not have to buy and resell anything!!! 2.Learn to cook from Giselle ASAP. Save eggs, mushrooms, steaks and fish, and get water. Make food and hearts in Rest Cave. Get your fishing training ASAP too. 3. As soon as you get to Gray Valley, learn to make weapons. 4. To get the lockpick ability you will meet Born in one of the caves. He MUST be used to unlock a door in the catacomb to Azure Valley and then kill all zombies.Alice in Azure Valley will sell lockpicks. Locks will reappear. If none, go through game and clear all areas. Go back to Azure Valley. I got 9 more locks then! 5.Golden fish: clear all fishing areas always. I got from 1 to 9 in games. They are on the hooks.Have fun!!! Rated 5 out of 5 by judy1689 from Great Game I was very happy to see a new installment of the Hero of the Kingdom series. 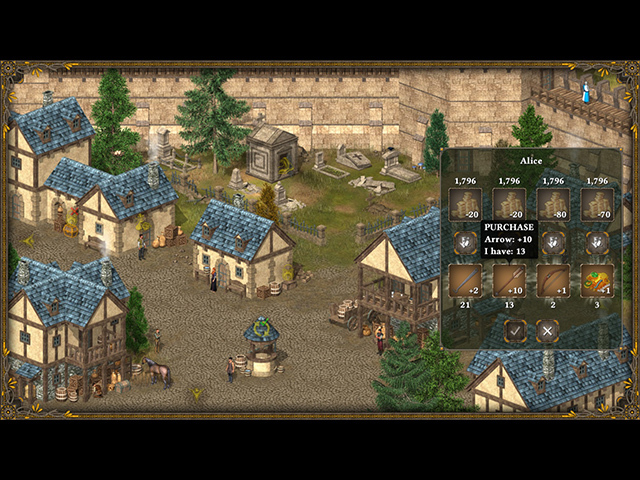 One of the things I enjoy about this game series is that it is reminiscent of the Exile game series produced by Spiderweb Software years ago. 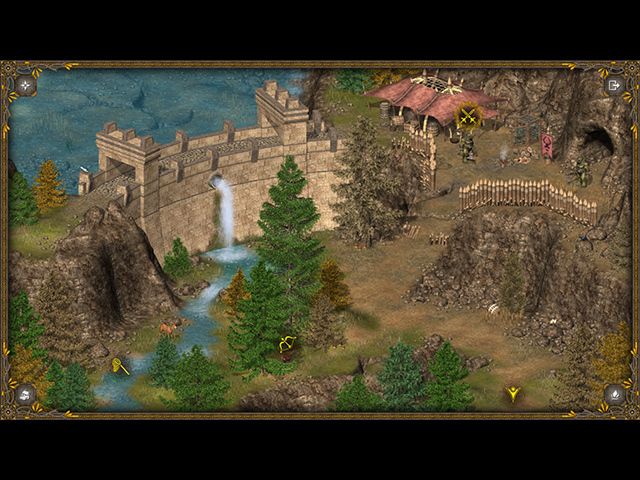 It is fun to roam the countryside and villages collecting items and fighting off the bad guys and beasts. While you can play it to the end in one sitting, it will take a while. This time I didn't rush, I just let myself linger into the game over several days. It seemed to end too soon. I would have loved having additional chapters to explore, perhaps in pursuit of the Princess' love. I do think there could be more interactivity with the villager quests. Well worth it. I'll continue to buy every installment Lonely Troops produce. Rated 5 out of 5 by hend0272 from Finally! Outstanding series. So happy to finally have another from the Hero of the Kingdom series! Rated 5 out of 5 by cindypeg from Love these Hero of the Kingdom games I absolutely LOVE the Hero of the Kingdom games. I was so excited to see that Big Fish now has #3. I have only played about an hour or so. However, I am enjoying this one as much as the others. I miss having a map, but perhaps that is available as play continues? At any rate, there is much to love with this series and with this game in particular. It is such fun to return to each well drawn scene and find something that wasn't there a moment ago. The game is not linear and has a wealth of options as you proceed. It's one that can be enjoyed over and over again. I can hardly wait to get back to playing it again! 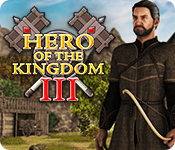 Rated 5 out of 5 by lrmc112060 from Love being the hero of the kingdom! I like the popup story book feeling and the very fun gameplay in the Hero Of the Kingdom games. I wish there were more adventure games laid out in this way. It's different than the usual fare here on Big Fish. I recommend you try the demo. Very fun game! Rated 5 out of 5 by KateHello from The Best Game Ever! Well done! All Hero of the Kingdom Games are excellent! Rated 5 out of 5 by DSherrod from Addictive Strategic Game Play! The story line was fun, but trying to get to all the lands of the kingdom and kill all the undead, trolls, snakes, and other nemesis while maintaining your energy, food, and potions was a challenge! These types of games are fun without always having to "restart" each level and build something else. Love it!! Wish there were more of these types of games. Rated 5 out of 5 by DrDavid from An intense RPG game This is a very long game, and an intense one. The first time I played it, loosely keeping track of time, it took about 24 hours to finish it. At one point I got myself into such a state that I could do nothing until I figured out a strategy to proceed. That cost me nearly an hour of thinking and searching. My second run through was closer to 18 hours since I already knew the drill. This game would probably be too intense for casual players but, in my own opinion, it follows the first two and is better than either. I must place it among the top five ever, at least for me. Rated 5 out of 5 by bazjack from Best game I've ever gotten from Big Fish. This game series is nothing like anything else I've ever played. This installment has been panned in some reviews because of the changes since the last game. I think the changes make it infinitely more fun and more replayable. Beat the game four times in a row already - it's not that short, I just play 15 hours a day, I have no life.